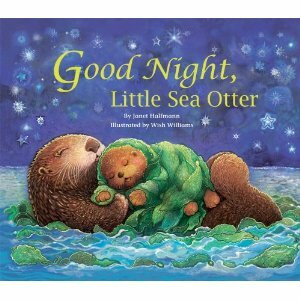 Good Night Little Sea Otter is a gem of a book that can be read to a young child at bedtime. The soft illustrations are simply the best. All parents can relate to how clever the little Otter is in finding ways to avoid going to sleep just like all children do. The book is very engaging and can teach children about the creatures that live in the sea. Parents can also use the book in various ways to teach young children about colors and simple words. I can see the book as a valuable resource to be used in a preschool and daycare centers to teach: simple science concepts, language, colors, shapes and friendship. The story also showcases the strong bond that exists between mom and child. This is the second book I have read and reviewed for Janet Halfmann. I’m growing quite fond with her abilities to write about animals. The author has a unique way of using animals to teach the young reader many important facts about science. Her writing style leaves me wanting to read all of her published books. Lastly, Wish Williams’ illustrations made the story jump off the page. Every well written picture book story must always be complemented with top-notch art work. I first learned about the importance of make-believe play while attending graduate school at Bansktreet College of Education in New York. The whole concept made a lot of sense to me. Children must be provided with ample opportunities to put their imagination to full use. According to Jean Piaget, this is one way children can develop cognitively. 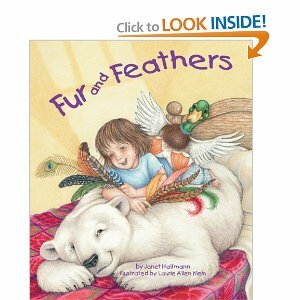 Janet Halfmann’s book Fur and Feathers is about the best book I have read that showcases how far a child can go with his or her imagination. It follows the adventures of Sophia, who helps her animal friends who lose their coats, made of fur, shells, feathers and scales, to a whipping wind. The wind leaves the animals to shiver in their bare skin. Sophia first tries to help by dressing the animals with every piece of clothing she owns. Much to her dismay, the animals, though very thankful for her willingness to help, do not feel comfortable with human clothes. Sophia’s vivid imagination than leads her to start sewing personal new coats for each animal. 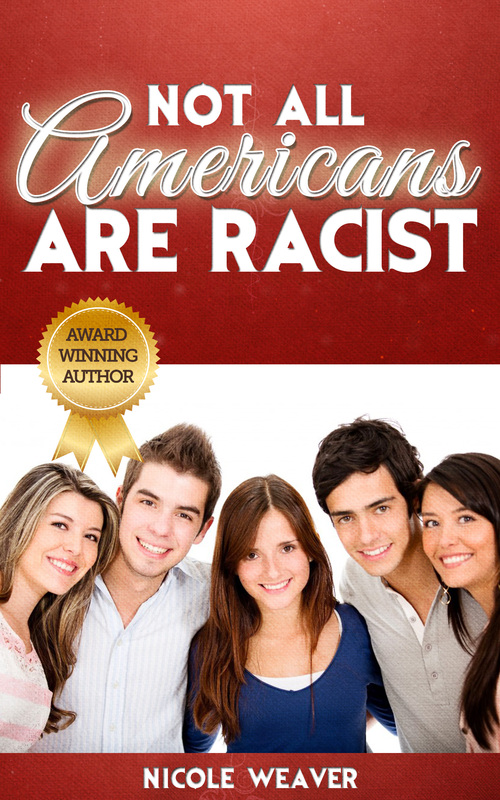 I love this well-written book. If you are a parent who is interested in showing your child the importance of imaginative play, this is the book for you. The educational resource “For Creative Minds” in the back of the book is worth its price in gold. Teachers and parents can use this valuable resource to teach children about the animal kingdom and scientific classification. Lastly, illustrator Laurie Allen Klein does an exceptional job bringing the story to full life with her vivid art work. Are you a mom ready to give birth to second child? Do you already have an older child who is having a hard time accepting a new baby? 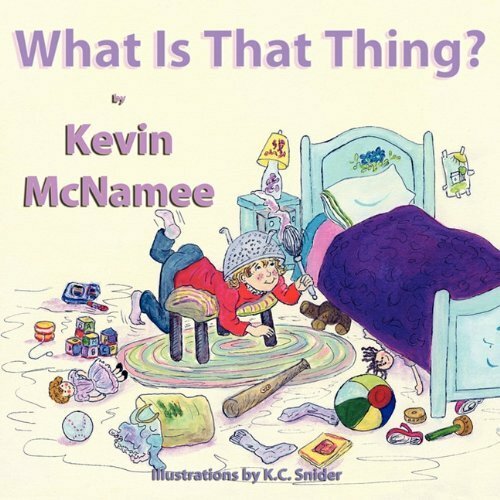 If you answered yes to either question, I highly recommend reading Kevin McNamee’s newly published What is that Thing?. A new baby sister or brother can present a great threat to the older sibling. Often the older sibling has a hard time understanding why mommy and daddy have to give attention to the new baby. The main character, Jenna, uses her imagination in a fun way to escape the reality of having a brand new baby sister. What a clever approach to teaching children that new siblings aren’t so bad after all. Jenna eventually learns to accept her baby sister by interacting with her. Jenna touches her baby sister’s waving hands and the baby squeezes Jenna’s finger and smiles a big toothless grin. Allowing the older sibling to interact with the new baby is one way to help defuse any misunderstandings. This cute and heartwarming story should be read to all children who already have or are about to have a new addition to their family. Further value is added by the award-winning artist K.C. Snider, who elevates the story with her top-notch illustrations. 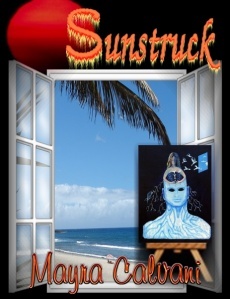 Reading Sunstruck by Mayra Calvani left me with a deep feeling of melancholy. I feel genuine compassion for the main character Daniella. Her story made me think of how we have little control of where we come from. Daniella, an architecture student, finds herself in the company of some very eccentric and bizarre people. The story takes place in steamy San Juan, Puerto Rico. They all co-exist in a warped and darkly world. The author does a great job exposing the deranged and macabre ways of the other characters in the story. Well written fiction is supposed to evoke emotions in the reader, good or bad. In my case, reading the story reminded me of how we sometimes have very little control of our destiny. What we often become is a direct result of who have influenced us. Daniella’s boyfriend Tony is a smug and selfish man who is obsessed with fame and LSD. Reading about him made me wonder about the dark side of the human character. The other characters: Zorro, Ismael, and Irene Carlier all gave me a sick feeling in the pit of my stomach. If you have a penchant for dark eerie characters, this book is for you. The author’s distinctive writing style held me captive, until I finished the book. 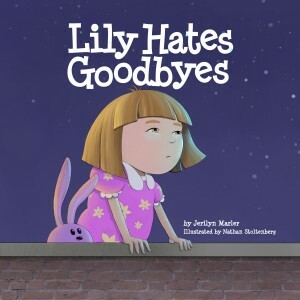 Lily Hates Goodbyes is a timely book that tugs at your heart. The story explores the emotional ups and downs Lily experiences when her daddy leaves for the military for an extended amount of time. So many children go through much turmoil not understanding fully why their fathers have to be gone. Mothers and grandparents can use this book as a good resource to help children cope with their father’s absence. What resonates well with me is the way Lily’s mom allows her to get angry about her daddy’s absence. With the aid of her mom Lily finds various ways to cope that will help her until her daddy returns home. Lily’s mom also encourages Lily to draw many pictures of what is going on around her and places them into a box so her daddy can look at them when he returns home. It is no doubt a very scary situation for a young child to learn to deal with the absence of a beloved parent, but this book really gives realistic and useful ways to cope with that unfortunate predicament that many military families must face. Welcome to day three of Carol Boles’ 6-day NWFCC March Specialist Showcase tour and learn how “Peer Tutoring” is essential to reading success in our young muses by the National Writing for Children Center’s Literacy Specialist, Carol Boles. The value of students teaching one another is often overlooked by teachers. Paired Reading is a peer tutoring strategy teachers can use in their classrooms, to help their students become better readers. Paired reading is a practice reading (the same story or text) activity where more capable readers are paired with classmates who are less capable readers. There are many ways to organize a paired reading activity. Here are the steps to a one-on-one arrangement for elementary school teachers – using the reading literature book. -Identify who your top readers are—either from fluency scores or informal reading inventories. Then, rank your readers from the most capable, to the middle and then the bottom readers. -Divide your class into two groups. -Pair students with a student who is at the same rank. For example: the top reader in group one, is paired with the top reader in group two, and so on. -Group 1 reader, reads first by modeling aspects of fluency such as; pace, expression, voice, and accuracy; group 2 reader, then reads trying to match the fluency of his or her partner. To become fluent readers, children need to participate in a variety of oral reading activities. 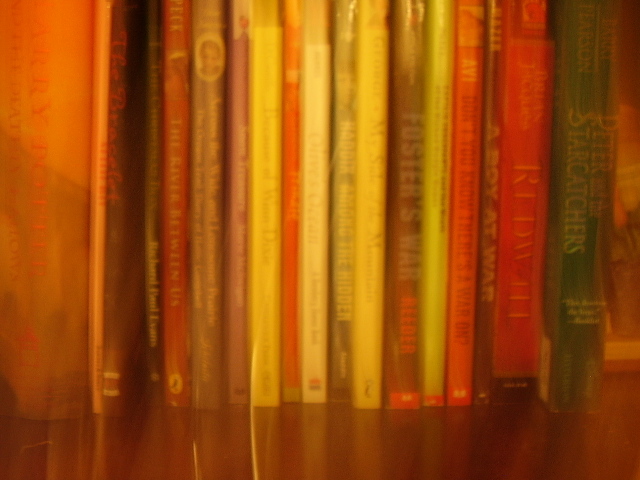 Paired reading is just one technique used to help children achieve fluency. Follow Day 4 of Ms. Boles’ tour tomorrow at www.mayrassecretbookcase.blogspot.com. Leave a comment and your name will automatically be entered to win a Three Angels Gourmet Co mug and a package of Divine Dill Dip Mix – at the end of the month, provided by the National Writing for Children Center. Welcome to day three of Amy O’Quinn’s 6-day NWFCC February Specialist Showcase tour as she discusses her personal homeschooling experience and tips. As opposed to twenty or thirty years ago, homeschooling options are almost limitless these days. There are countless companies, catalogs, and websites available to help new homeschooling parents navigate their way through uncharted waters. 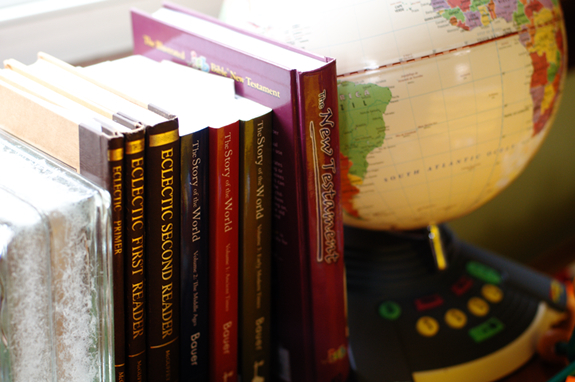 Curriculum choices abound, and there is a homeschooling ‘method’ or style for everyone. Although I utilize much of both the Charlotte Mason and Classical methods, I guess our homeschool style could be labeled eclectic, as I pull ideas from many different places. In fact, I would venture to say that most homeschooling families are eclectic to some degree! We use a variety of curriculum and resources, but with a specific end in mind. I definitely see the value in acknowledging the different stages of the trivium, and I remember these as I’m planning goals for our school year. But I am also drawn to the gentle art of learning associated with Charlotte Mason, and I like to incorporate art, music, and nature study. I especially like to use narration and copy work. And we read a lot! I also believe in fostering self-education (autodidactic) and independent learning. For when I’ve finished my years of teaching, I still want my children to continue learning and growing in many different areas—not because they have to—but because they want to! I truly believe that if parents feel called to homeschool their children, they have a responsibility to provide the best education possible. Homeschooling can be as expensive or as inexpensive as families want it to be or are limited to, but a good education is NOT dependent on lots of money or a costly curriculum. Time invested by the homeschooling parent and wisely and effectively using whatever resources are available makes all the difference in the world when teaching a child. Consistency and dedication are a must! One of the best starting places to find information on how to begin homeschooling or review a list of frequently asked questions is at the Homeschool Legal Defense website at www.hslda.org. There are links to state laws, homeschool publications and periodicals, research information, organizations, etc. Another good site is www.vegsource.com/homeschool. Here you will find discussion boards for all homeschooling methods and topics and even a place to buy/sell used curriculum. The Old Schoolhouse Magazine website at www.thehomeschoolmagazine.com also has many links, product reviews, and articles for anyone interested in homeschooling. In fact, just doing an internet search on homeschooling will yield more hits than you can possibly use. But one of the best ways to find out about home education and how it ‘really’ works is to find another homeschooling family or mom who is willing to answer questions and share opinions about the good, the bad, and the ugly! Finding support is vital, because there will always be days when new homeschoolers (and veterans) feel overwhelmed, when they just need encouragement, or when they want to share their success stories. We’ve all had our great days and our ‘not so stellar’ days of homeschooling, but it really helps to talk to those who’ve walked the path before us! Follow Day 4 of Ms. O’Quinn’s tour tomorrow at www.mayrassecretbookcase.blogspot.com. Leave a comment and your name will automatically be entered to win a Three Angels Gourmet Co mug and a package of Divine Dill Dip Mix – at the end of the month, provided by the National Writing for Children Center.